Wendell Cox recently reported on the state of so-called “urban infill” efforts, and analyzed which cities are experiencing an increase in their density. This report shows some surprising trends. Cities such as Pittsburgh, which claim to be successful at “infilling”, are actually dropping in density, in part because of low birth rates and lack of in-migration. What may be the next trend might be called urban agriculturalization or “urban backfill”. In the past, urban infill used to make sense. Where a concentration of people already existed, and where infrastructure was in place, development between existing structures seemed inevitable. With the accessibility allowed by the car, urban infill became a choice among others, including the suburban frontier. Urban infill became, for most cities, a rarity. Current attempts to encourage infill over fringe development may be too little too late, as the cost and regulatory environment favors fringe development. Expenditures on public safety rose as building codes dictated an increasing level of safety in urban cores, not just for the occupants of the building, but for the building itself. Driven higher because of the perceived desirability of a downtown, costs soared out of control as elaborate, complex zoning processes meant high fees to a team of consultants necessary to steer projects through multiple public hearings. These generated some pricey computer graphics, but often no guaranteed outcome. Aesthetics also have become highly regulated as well, with design boards composed of interested citizens, reducing the design process to design-by-committee. By the early part of this century, urban infill became an Olympian sport, leaving most of an urban area’s empty lots and dilapidated buildings vacant. To further burden the urban infill developer, right now a new form of regulation is entering the scene, that of the so-called smartcode which regulates the last untouched part of the exterior of a structure: its overall form. With rigid codes and design staffs, cities can now create for themselves a vision, supplemented with pretty pictures, of the imagined future, where building patterns need to be just-so. An urban infill developer must now adhere to someone else’s opinion of where his front door is, and whether he has a front porch. So, in reality, these urban parcels sit abandoned and income-free, with the biggest real estate growth market being in “for sale” signs, as owners try to unload these properties on a greater fool ready to do battle for the cause of urban infill. It is a no-win scenario for cities. Back fill provides an alternative below the line. Overlooked spaces are being discovered by many people as ideal for temporary use, and with only a small cost for a license or permit, new marketplaces, street performances, and other people-intensive activities are rushing in to fill the void. Again, a city with any savvy will try to apply a regulatory and fee drag on this activity; fortunately for the citizens, this usually takes a long time, and in the meantime, many cities are acquiring the look of a genteel form of Blade Runner, with person-to-person commerce taking place among the currently decaying and abandoned edifices and infrastructure. Still other parts of the city are trying to beautify their abandoned spaces by planting them, sometimes with gardens, figuring lush landscapes can hide the fact that their core is not as desirable as it once was. And still others fence them off, creating a new canvas for graffiti artists and advertising, and returning the abandoned spaces into wilderness. All of this belongs to the study of old field succession, which traditionally has been an agricultural science. For urban cores, this approach suggests a new way to reuse abandoned space. Increasingly, agriculture may not belong exclusively to the rural condition, but can be adapted to the city itself. In some areas such as Orlando, entrepreneurs have discovered this reverse-flow effect, which has been useful in so many other endeavors. By applying the standards of agriculture to the urban core, interesting and useful businesses are springing up. Near Orlando’s downtown area, for example, Dandelion’s Café is licensed not as a restaurant but as an agricultural kitchen, allowing it to operate under the Florida Department of Agriculture rather than the Florida Department of Health. This freedom does not compromise public safety – people still get sick from food in Department of Health regulated restaurants – but cleverly avoids the intensive state oversight, permits and fees associated with most restaurants. In College Park, the City’s empty land has been converted into a community garden, offering small plots of land for rental to surrounding property owners to cultivate produce. This is not a new idea; urban community gardens exist in cities worldwide. But as the current economic conditions squeeze incomes, creative use of outdoor space to reduce the grocery bill has engendered a new microfarming movement, and may have staying power as people rediscover a sense of shared purpose. All this creates a new form of development, which might be characterized as urban backfill. Urban backfill projects include any temporary uses of space for food, commerce, or entertainment. These even include temporary sacred places – the streetcorner preacher, for example, and his congregation. Still other abandoned spaces seemed destined for decay: overgrown weeds, saplings, and mice are turning urban vacant lots into true pastoral scenes that provide surrounding buildings with glimpses of unregulated nature. Cities can hold off this backfill for only so long. If Twitter can enable a revolution, ad hocracy can certainly enable free commerce and discourse in a democracy. Temporary uses suggest a vitality that cannot be denied or regulated to death, and suggest that cities consider a new way of looking at these spaces. Urban backfill provides an opportunity to reinvent the American city and create economic and social value where now none exists. It can also help establish both a renewed sense of place that can also nurture new ways for a city to evolve organically and naturally. Submitted by duyentran607 on Thu, 07/17/2014 - 18:28. Submitted by Andrew_Wilson on Tue, 07/21/2009 - 19:04. This may explain why suburban development currently requires little democratic "work" in terms of convincing others it is a good idea, while infill is decidedly different. That said, I am all for "backfill" as a placeholder. Good article. Submitted by Greg Critser on Tue, 07/21/2009 - 10:44. This suggests that the priority for cities is to get greener--bravo. That might help tampoer down some of the pollution and make cities even more livable--and preferable to sub-blubbia. Submitted by nhelmholdt on Mon, 07/20/2009 - 08:07. 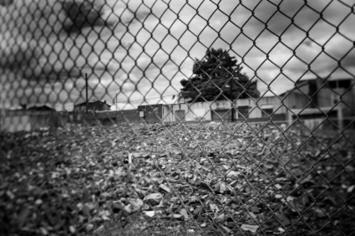 The economic and regulatory hurdles that prohibit new real estate development on vacant urban lots are not trivial. I think that cities with large surpluses of vacant lots should begin to embrace what you have termed "backfill" in urban neighborhoods. I am keeping track of the ways this is happening over at Vacant Property :: Urban Opportunities. Submitted by davebarnes on Sun, 07/19/2009 - 11:22. Density tends to be measured as the mean density. That is total population divided by total city area. So, a city that creates a large park would decrease its density if just one person moved away due to the park's creation. Or, if a city annexes additional land (we do that kind of thing here in Colorado) then its density decreases. A better metric of city density is needed as it really is very lumpy. I don't know what that metric is, I just know that the current one is somewhat useless.